Welcome to 1595 El Monte Rd. 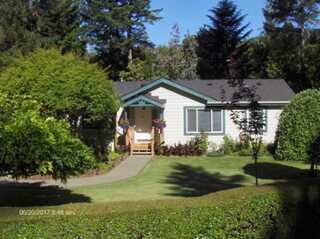 Beautiful home in a constant neighborhood, large 1900+ sq ft 3/2, with a great layout. 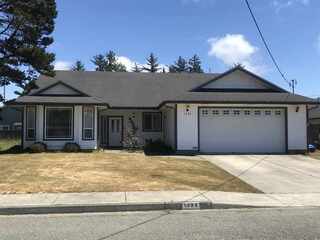 Featuring a large living room with a cozy wood burning fireplace, spacious kitchen with lots of cabinets, large island on wheels and loads of storage. Front room could be used for dining or office. Lots of large windows providing natural light. Decent sized bedrooms with a large master bedroom walk-in closet and master bathroom. Great Laundry room and storage in garage. This home has it ALL! Beautiful, private country setting w/gated entry. Large living room. Big kitchen w/tile counters & lots of cabinets. Needs work. County records show 12 bedrooms. Work in progress, Owner has done a lot. Offers lots of potential. Detached garage in poor condition. Huge barn 1,702sqft has been well maintained. This could be the fix up project you've been looking for. Fenced & cross fenced. Lovely views of Redwood Nat'l Forest. Calling all horse lovers! Check out this 2 bedroom, 1 bath country home on 6.41 acres! Home has had some updating, newer kitchen cabinets, Hardie board siding and nice backyard deck. Huge barn (2,305') features stalls and hay loft/storage, perfect for horses, livestock and or work shop. 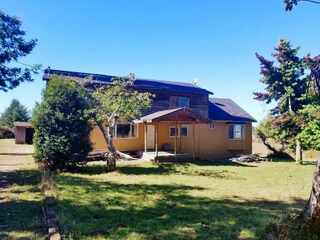 Stunning country setting, fenced and cross fenced pastures set up for horses, close to riding trails, Stout Grove State Park and South Beach! Property has Bertsch Community water and septic. This 5 Bedroom 3.5 bath two story home with over 3000 sq. 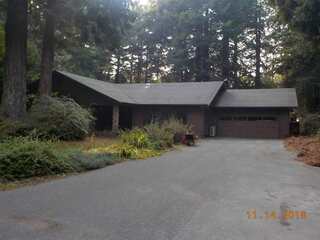 ft. of living space sits on 5 flat usable acres in Klamath Glen. Close to the Klamath River for fishing. 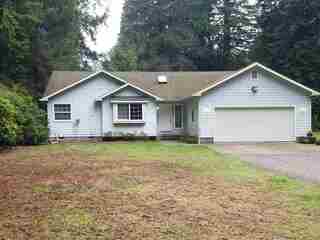 Home has living room with fireplace, family room, dining room with Wood stove and a Game room for entertaining. This home needs someone who wants to fix it up and make it theirs. WALK TO BEACH! Rarely does a HOME of this calibre & IMPRESSIVE location become available For Sale. Built in 1952, this 2 bedroom home has been consistently updated & maintained over the years, leading to the beautiful home you see today. Battery Point Lighthouse view. Panoramic views from inside & outside the home. Large corner lot. Nice curb appeal. Big bonus room. Step-saver kitchen, custom oak cabinets. Nice Ocean View. Huge RV shop 14' door, 2 car garage, built 1987 is 756sqft. Call for Appointment. 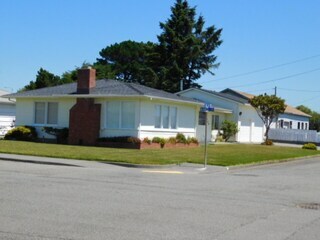 Remodeled and beautiful 2 story home with peek ocean views! On almost an acre. A must show. 2 ductless heaters (1 up and one down)3 bedrooms, 1 bath up. 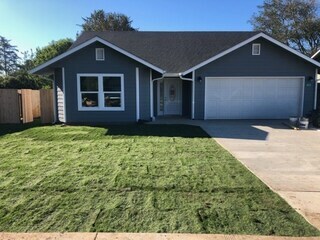 2 bedrooms, 1 1/2 bath down. Some bedrooms have doors to deck, some to the outside. One bedroom is accessed through master bedroom or from the outside. What a wonderful family home this is! 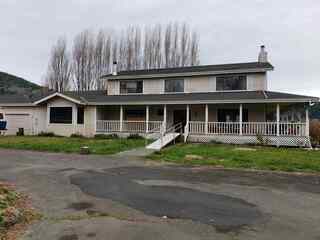 Address: 13901 Highway 101 No. 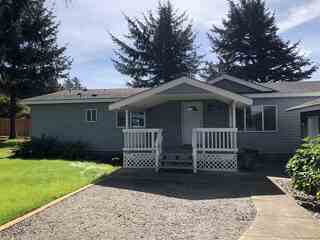 Prime location in Smith River with Hwy 101 exposure. Current use is medical office with 4 examination rooms, 2.5 baths, office area, large reception area, new carpet, paint, roof, water heater and dishwasher. Could easily be converted back to single family residence. Adjacent lot is included in price giving nice parking or possibility for expansion. Owner would prefer to carry with acceptable terms. Beautiful Ferndale Lane location! This home features vaulted ceilings with sky lights in an open floor plan. The master suite has a nice sitting area with sliding door to the back deck and a walk in closet. The large master bathroom features a walk in bathtub and a separate shower. Nice deck on the back that's partly covered to enjoy your private back yard rain or shine. The attached garage is finished with sheetrock and paint. Well and septic, so no water or sewer bills!